Hungary’s capital, Budapest, is probably one of Central Europe’s most lively and beautiful city and also the cultural, economic and political heart of this nation. From its breathtaking architecture and history to its warm people and buzzing pub culture, from the thermal springs to its lavish bathhouses and the sparkling Danube river, there is certainly something rejuvenating and magical about Budapest! 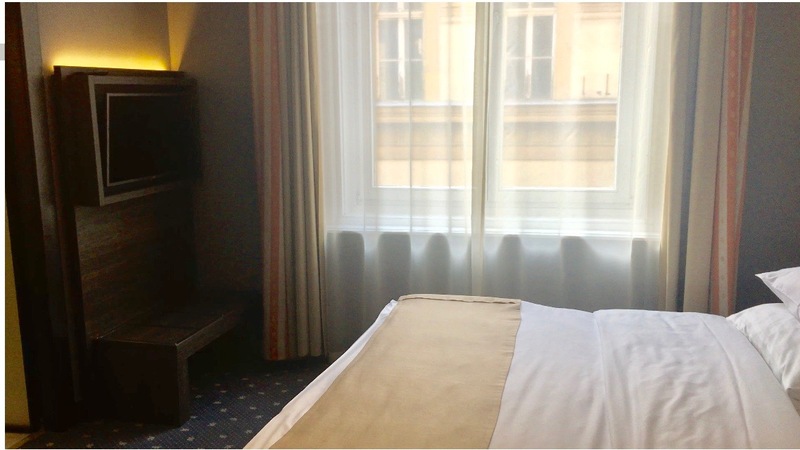 On our last visit to this beautiful city, we chose to stay at the Hotel Museum Budapest, which is situated in the heart of the city in the ‘Palace District’ of Pest. 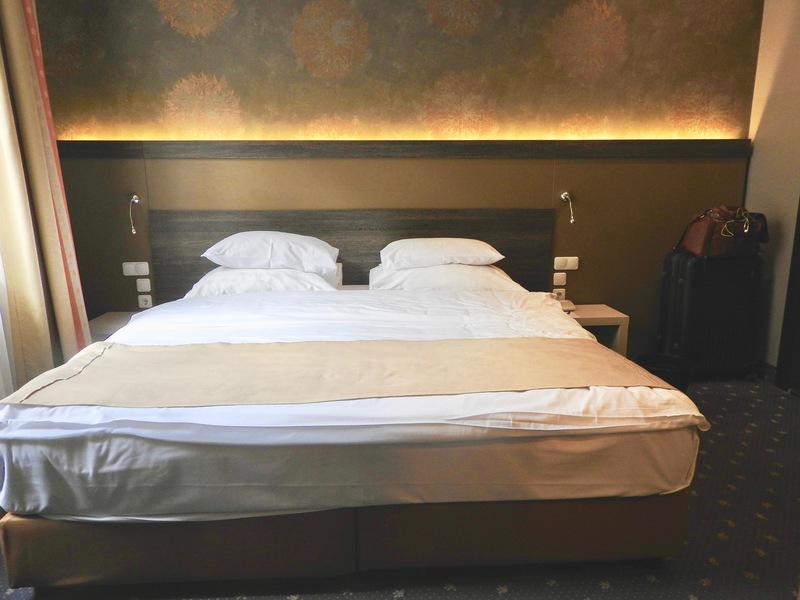 Budapest is very well connected through multiple trams, buses and underground metros and like always we wanted a budget hotel that was near to the station. 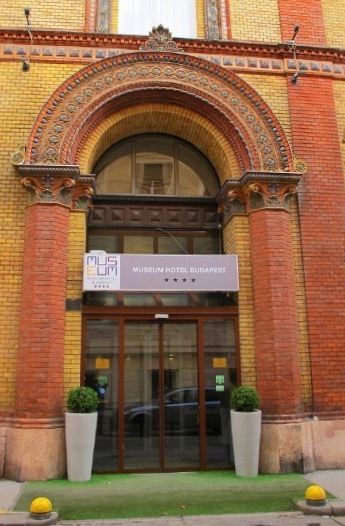 Hotel Museum Budapest is very close to the tram links and Metro line 2. The Astoria station is walking distance and there are plenty trams, metros and buses within a 5-10 minute walking distance as well. 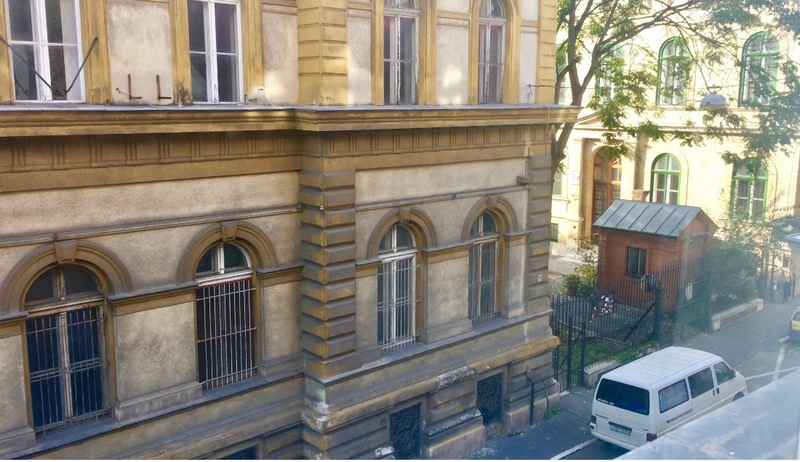 Also, it is a walkable distance from St. Steven’s Basilica, the Jewish Synagogue and Váci street. There’s a McDonald’s and Starbucks at a 5-minute walking distance, so that gets a big thumbs up! The National Museum and Kalvin Ter are very close by too. Having said that, we felt that at night the area becomes a little too dark and secluded, don’t get us wrong – it is nothing unsafe, but we did feel we needed to be extra precautions at night. 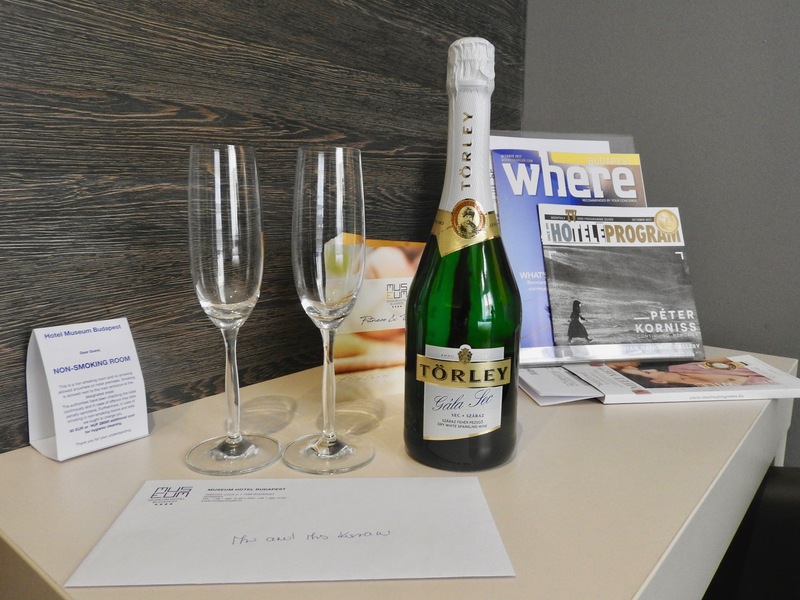 Apart from the location of the hotel being a big plus, the staff itself was very warm and welcoming and our check-in experience was very smooth. Coming on to the ambience and feel of the hotel – Hotel Museum Budapest was very different from any other hotel we have ever stayed in. The corridors are beautifully decorated, yet they seem dark and moody… but then they have a personality of their own. Personally, we thought the corridors were too dark for our liking. 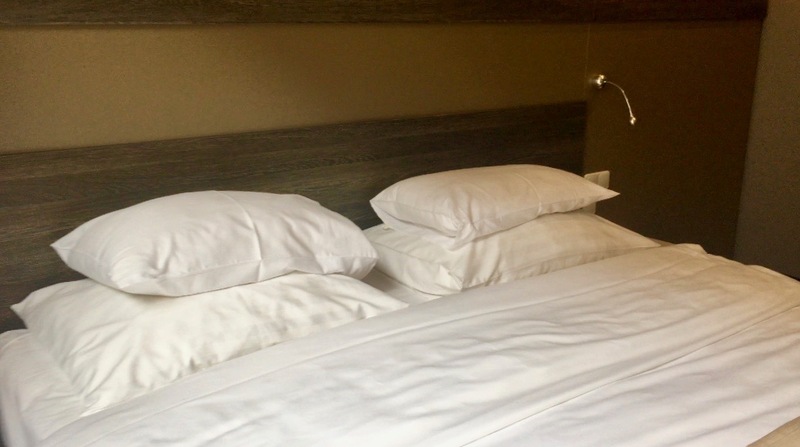 The pillows were really comfy! 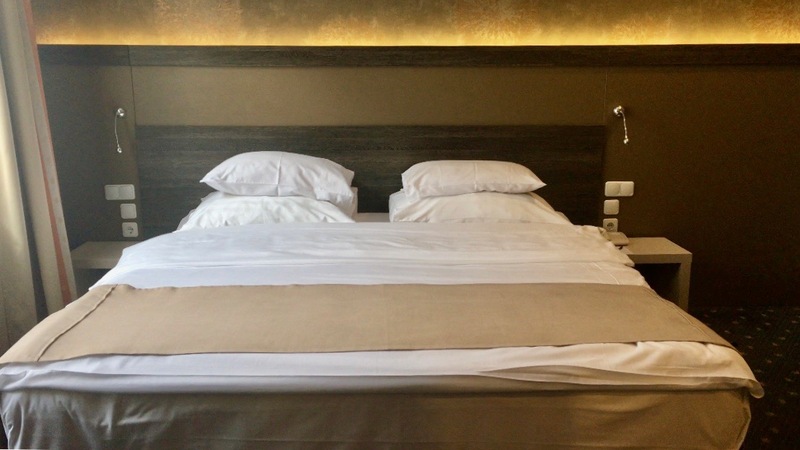 The room we stayed at was quite a good size and immaculately clean- the bed was very comfortable and the room had big windows that could be fully opened to let in fresh air. There was also a small and compact desk area in one corner of the room. Complimentary bottle of Wine for our Anniversary! ❤️ Thank You Hotel Museum Budapest! 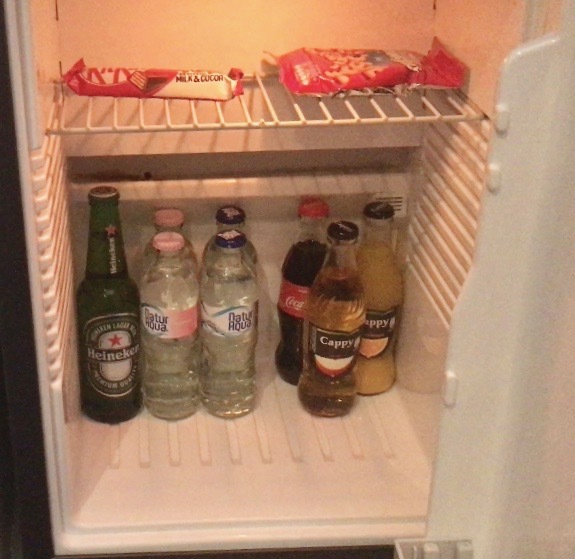 Our only complaints with the room are that the radiator in the bathroom was broken and the fact that the staff (though very polite) couldn’t really do anything to fix it. Also, the room was very dimly lit. 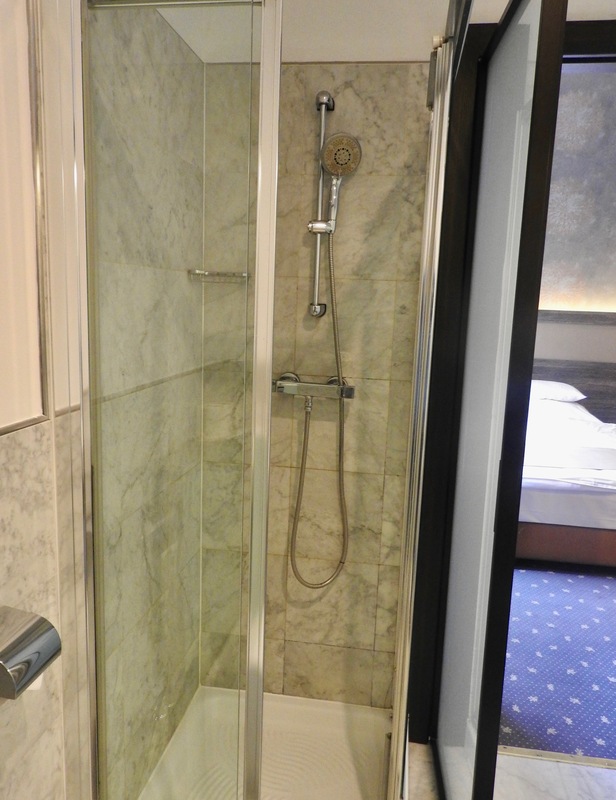 Another thing we felt was that even though the size of the bathroom is quite large, the shower cubicle is very small and uncomfortable to use, so bear that in mind when you are booking for your stay. 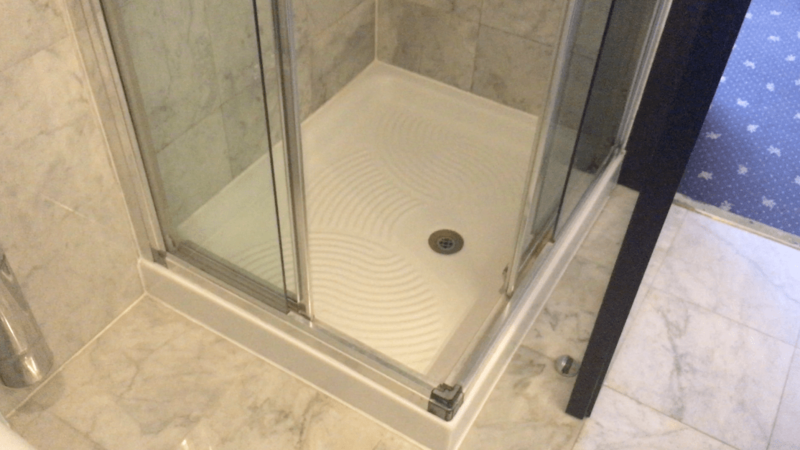 Look how tiny the shower cubicle is! 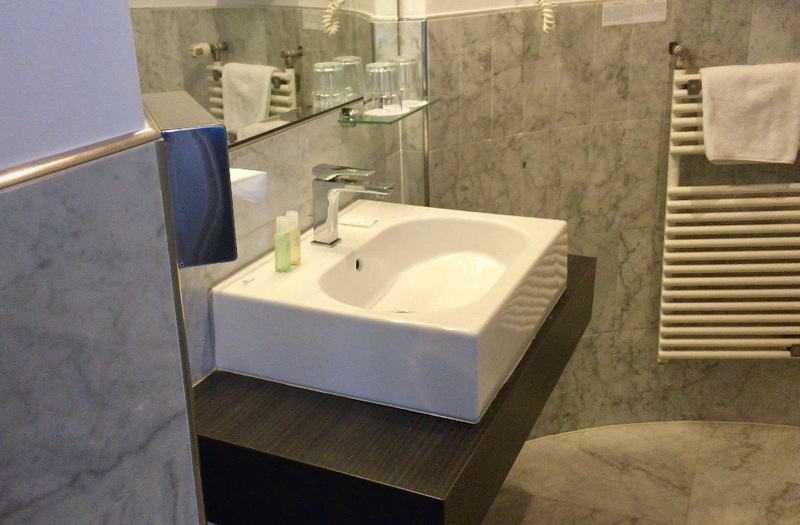 As for other amenities, Hotel Museum Budapest also has a gym, Turkish bath, a jacuzzi, spa as well as 2 saunas. Breakfast was not included, but you can pay 10 Euros per person, which to be honest we felt was quite expensive as you can get a very good breakfast for much cheaper at local restaurants and cafes.